Unique flowers arrangements for any event size in Knutsford, Cheshire. Professional floral arrangements can add colour and decorative appeal to virtually any occasion. Whether you're planning a business conference, awards ceremony or a product launch, a well placed flower display is sure to impress your guests. No matter what the type or size of your event, our experienced, knowledgeable florists can help. We will discuss every aspect of the colour, layout and pricing of the display, ensuring you are completely happy. We will then set to work preparing the arrangements to your specification. As part of our service, we will dress the venue ahead of the event, ensuring the area is ready for your guests' arrival. Whether you have a vintage or contemporary style in mind, we can create something you'll be proud of. Further to our flower arranging services, we also offer a wide selection of ornate props for hire to suit any event, from charming bay trees to goldfish bowls, vases, candelabras and much more. If you're searching for inspiration, why not take a look at our Gallery page to see some of the work we have delivered for past clients. To find out how we can help you make your event special, get in touch with the team at Country Flowers Florist today to arrange your free consultation. Colshaw Hall is a resplendent Grade II listed building and country manor estate run by the Irlam family. Ideally appointed in heart of rural Cheshire, the hall is a popular wedding and private hire venue. The Hall is surrounded by charming gardens and a miniature lake. Six comfortable guest bedrooms are also available. The building's Peel Suite is a grand banqueting hall with capacity for up to 200 guests and includes a fully stocked bar, which presides over the Hall's well kept gardens. For smaller, more intimate gatherings, a number of other rooms are available. 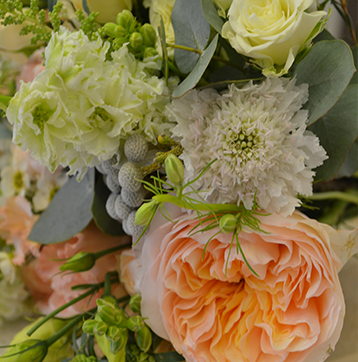 Working in conjunction with Colshaw Hall, Country Flowers Florist is proud to offer a range of luxury wedding packages. 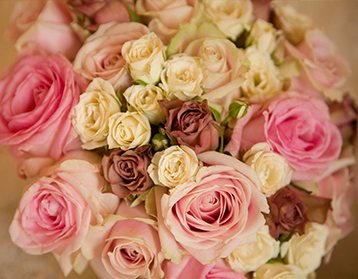 These packages include full floral design, arrangement and hospitality for your special day. Pricing options to taken from info supplied. First-class catering can be provided by the Hall's staff. Wedding meals can be provided to suit your guests' requirements, in addition to canapes and drinks. All food is prepared by the venue's skilled, experienced chefs. To learn more about our Colshaw Hall wedding packages, get in touch today to discuss your requirements. © 2019 Country Flowers Florist All rights reserved.